North Star Marketing, Lancaster, PA, has recently been named the creative agency for Fenner Precision and Smiths Aerospace. North Star Marketing to Partner with MANTEC, Inc.
MANTEC, Inc. recently named North Star Marketing, as a strategic partner. North Star Marketing will work with MANTEC in assisting manufacturing companies in Central Pennsylvania with integrated programs that reinforce the brand position long term while increasing sales short term. 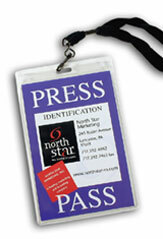 North Star Marketing provides manufacturers with marketing, branding, PR, interactive, print, collateral, packaging, creative services, and sales communication. Local Agency puts “Little Black Book” Online!